After each and perfect steps on the online life of the people, Google have grown a more step for the heart of its lovers. Google has finally launched Google drive. Yes the new meaning of cloud, the new meaning of sharing, and the new meaning of get to global. 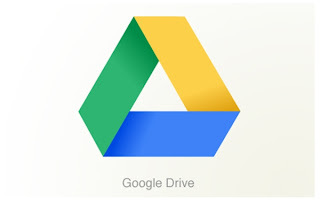 Google doc is now became Google drive. Google Drive, a new and enhanced version of Google Docs. Personally saying First time Google Docs made me feel the importance of cloud and this time it gained lots of smiles from the world. Google drive is not only about the storage but it also going to the life in this application. The freedom to use it, from anywhere, to view and edit any type of documents, even if the supported application is not available and all. Let’s see what’s here in Google Drive. Google Docs; this service is now replaced by Google Drive. The service has features like creating new document, spreadsheet, presentation, and PDF document. Apart from this you don’t need to get MS office or any other word processor client to view the attachment, Google Drive has inbuilt application for all these. It support almost 30 file format including Doc,Docx,Xls,Xlsx,PPT,pptx,pdf,jpg,jpeg,psd,mp3,mpeg,mp4,mpg,wmv and so on. Scared of downloading and viewing large and bulky attached document? Just save them to Google Drive and view and edit them without downloading, even share and update. Your videos and photos uploaded on it will be instantly available on Google Plus to share and hang out with. Powered search algorithm allows you to search from thousands of file on the cloud. You can have the Online file management system. You can create the directory for different type of file and on the bases of your need. You can prevent the document from downloaded and prevent the further sharing. Instant sharing while updating the document will make the life easy and will make you experience the real life task. Now roam anywhere and with any type of the device like Notebook, mobile, ipad, tablet, all your document and data will be available on you login. While editing the files, the version of the files get saved automatically, in case of any need, you can access the older version of the file at anytime and this log will last till 30 days. Soon Google will launch the friendly application for the platform like for iOS, Windows, Mac, Linux etc. Android devices will defiantly going to gain a lot from this service. What Google Drive will cost to you. Google Drive is ready to use with your Gmail account, go and log in now and get to cloud. comment your suggestion and feedback to us.